Book Cover of "I Me Mine"
To an inveterate George Harrison fan, this book is precious. The “autobiography” part does not tell much about the highlights of George Harrison’s life (why there’s not much exploration on his relationships with Pattie Boyd, Eric Clapton, Dhani Harrison, Olivia Harrison and even the rest of the Beatles!) but there are interesting brief accounts on band tours and Harrison’s quest on spiritual enlightenment. 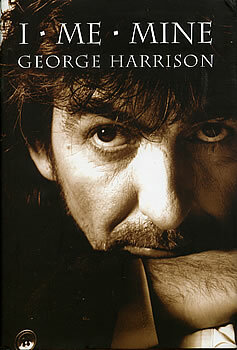 The bulk of the book is primarily due to the inclusion of George Harrison’s handwritten song lyrics and photos. Gotta love the rough drafts of lyric sheets filled with notes and illustrations!